SUGAR LAND, TX— The Sugar Land Skeeters today announced that they will cede home-field advantage to the Road Warriors on Thursday night for the finale of their seven-game series at Constellation Field. It will mark the first home game for the Road Warriors in the 2018 season. Skeeters President Jay Miller, in conjunction with Atlantic League Commissioner Rick White, elected to make the move as a kind gesture to the Road Warriors, who are slated to play all 126 regular-season games this year without a home ballpark. 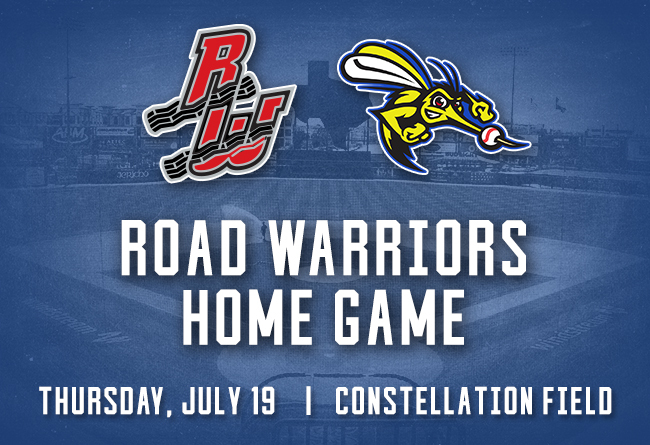 Some of the features for Thursday night’s contest will include the Road Warriors getting their own walk-up music, which they have yet to be afforded this season, along with batting in the bottom half of innings. First pitch for Thursday night’s contest is set for 7:05 p.m., with Skeeters right-hander Konner Wade set to face off against Road Warriors left-hander Andres Caceres. Thursday nights are Thirsty Thursday’s at Constellation Field, featuring $2 beers and sodas for all fans in attendance.